Ahmed Johnson. Photo by Shawn Miller. 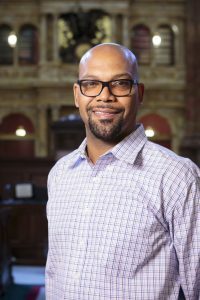 Ahmed Johnson is a local history and genealogy reference librarian in the Library’s Main Reading Room and a specialist in African-American history. A bibliography he created, “African-American Family Histories and Related Works in the Library of Congress,” guides Library researchers seeking to understand their families’ stories to printed and digital sources at the Library. Here Johnson answers questions about his career of nearly 30 years at the Library, how he developed a passion for African-American genealogy and his search for his own family’s roots. I am one of the few native Washingtonians at the Library of Congress – my family goes back four generations in D.C. In 1989, when I was as a rising senior at Archbishop Carroll High School, I started as a deck attendant in the Library’s Collections Management Division. While attending Hampton University in Virginia, I continued to work at the Library, eventually securing a position as reference assistant in the Manuscript Division. After I graduated, I was selected to participate in the Professional Development Associate Program, a 24-month training that led to my being hired as a reference librarian in the Local History and Genealogy Section. 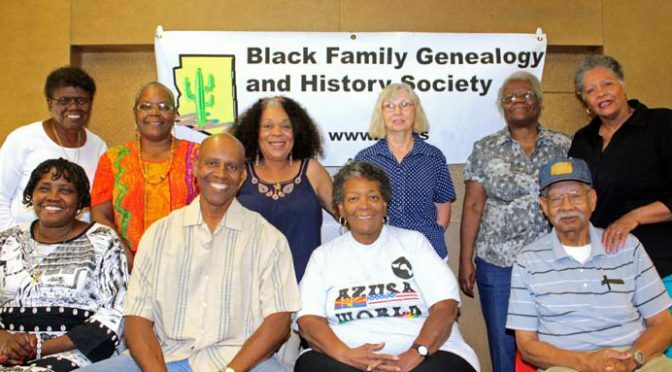 How did you become interested in African-American genealogy? I was always curious as a kid and loved history. Every chance I got, I would ask my grandmother – she is now 98 – about how she grew up and about my relatives. I wanted to know about their occupations, their education, their everyday life. My grandmother showed me a photograph from 1922 of her as a 2-year-old sitting on the porch of the family home in Clarke County, Mississippi. The picture included my great-great-great grandfather, who lived to be 106, my great-great grandparents, three cousins and a traveling preacher. I was fascinated by the black-and-white portrait – it looked ancient, it was so dark and blurred. The house looked like a log cabin, and everyone’s clothing was tattered. I quickly realized the sacrifice made by my ancestors and how this sacrifice benefited me – and this sparked even more questions. But I had no idea this curiosity would lead to a career helping others trace their family histories. 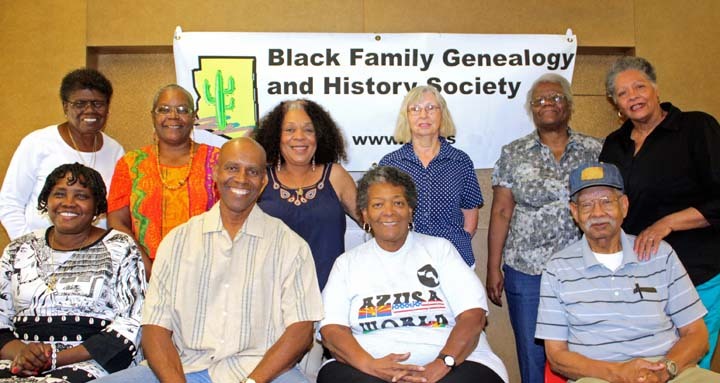 What are the special challenges of doing African-American genealogy? For any group, the further back you go, the fewer records that exist. But the slavery system increased the difficulty. Some individuals were free before the Civil War, but most black Americans are descended from slaves. Considered property, slaves left no real paper trail. They did not record their marriages at the local county courthouse. Also, slavery split families apart, and few slaves could read or write, so the likelihood of family histories being left behind is low. Census records did not include the names of slaves, only the age and the gender of each slave belonging to a specific owner. By the time slavery ended, for generations of people, much of their original identity and history was lost. And after the Civil War, many families migrated. Some took on the names of former masters, but others simply made up names. Former slaves were poor, and records are always scarce for the poor. Stories about blacks didn’t make the mainstream newspapers until decades later. Some unique records do exist that are helpful in tracing African-American roots, but usually the history is documented by finding the last slave owner. Which collections have you used to track your own genealogy? Genealogy is about more than names, dates and locations. It’s about how people lived and why they did the things they did. In genealogy, we call it “putting meat on the bones.” I began my research by interviewing my older relatives. This information led to other resources and collections. The Library of Congress has local histories from throughout the country in its collections, for example. I searched for books relating to the counties where my relatives had lived. These books provided records pertaining to county history, marriages, taxes, deaths and other details. The Library also has family histories compiled by people who researched their own families. I searched our catalog for these books as well, but unfortunately none related to my line of the family. The Library subscribes to hundreds of subscription databases, which are free to the staff and public – although some are accessible only on site. I have searched several and located fascinating records. Ancestry Library Edition, which is our subscription to Ancestry.com, has over a billion names and allows you to search for your ancestors’ names. I’ve located U.S. census records, military records and marriage records for my family in Ancestry. “Chronicling America” is a newspaper database that allows keyword searching. My research in this database has revealed obituaries and other information. I continue to search the “Records of the Ante Bellum Southern Plantations,” a microfilmed collection housed in the Manuscript Reading Room. These are records of plantation owners containing information about everyday life on the plantations. They document when people were bought and sold, and provide details about occupations, clothing and food allowances and list slaves by their first names. Has anything you’ve learned about your own family surprised you? Using “Chronicling America,” I located a letter to the editor, “Remember the Fireman,” written by my great-great grandfather complaining about his pay and that of his colleagues. Imagine my surprise! I had no idea my ancestor was a firefighter. The letter was published in The Washington Herald on Dec. 10, 1913. But history tells me that black firemen didn’t exist during this time in D.C. I figured out that my ancestor was one of the guys who lit the gas lamps around the city. In 1913, they were called firemen.